How does this play into the world of job seeking? Why should I follow these criteria? Let’s answer these questions by addressing each piece of the SMART objective setting model and how it relates to your resume and the job search. When writing a resume or even applying to jobs we need to have a direction, we need to narrow down our field of search and make it targeted. Resume: If we are scattered in our resume this will be seen by recruiters and they will begin to ask the question why are you applying to this job specifically, a question we would rather not be asked. Job Search: If we are scattered in our job search we may attract jobs that don’t fit us and will not be a good long term opportunity. Lesson Learned: The lesson is that we need to focus on what skills we would like to use and what positions best allows us to use them. Quantify, quantify and quantify, but only if it makes sense and looks impressive. Resume: Measurement in a resume can come from being able to quantify your experience. Think about the time saved when changing a process or cost savings from an action you had taken. Job Search: It can also come in the form of setting goals on the amount of positions you plan on applying to in a given day or week. Lesson Learned: It is important to set these goals in advance and hold yourself accountable. 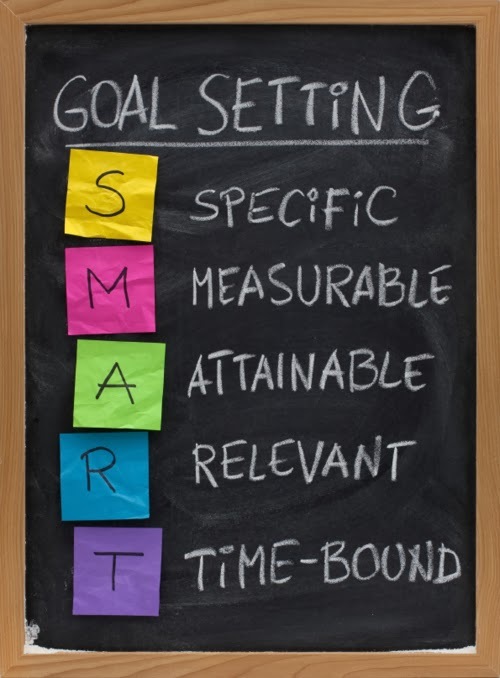 To me this is one of the more important SMART goals. Resume: We all like to believe that any job that we read on paper is something that we can easily learn or do; I am guilty of this as well. We really need to assess our accomplishments and backgrounds in an objective manner and truly ask ourselves the question of what have we done and what are we currently capable of doing. This should aid us in determining the jobs that we should target. Job Search: A key goal when applying to jobs is ensuring that our capabilities match what they need as a business. Lesson Learned: Where we need to be strategic is researching and understanding what type of career progression and opportunity can a specific company or role provide me. This goes hand in hand with the previous SMART goal of ensuring that the role you are applying to is an achievable goal. Resume: There are several ways to ensure that it is. The first of which is to ensure that everything on your resume is relevant for the jobs you will be applying to for employment. We all wear multiple hats and believe that all of our accomplishments are important, and they very well may be, however the reader has limited time and they need to quickly assess whether or not you are the next interview. Job Search: We are also limited in time as job seekers and that is why we need to weed out the relevant jobs that align with our skill set. Lesson Learned: Our job search will be that much easier if we are on a more focused track. This can also be applied to both the resume and the career search. Resume: On a resume it is sometimes good to quantify goals using time. If a specific achievement was accomplished in a short period of time it is good to show this. By doing this we can magnify the impact of our specific achievements. Job Search: When searching for a new position, give yourself hard deadlines in terms of applying to jobs, re assessing your job search strategy and to secure a new position. Lesson Learned: It will not always work out that you meet these deadlines, but having them there tends to help people focus more on the task at hand. This concept and method will help you secure the position you want and aid in your ability to achieve your career goals. John Greenblatt/CEO Five Star Resume LLC.